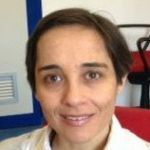 Camelia Ignat is a scientific and technical officer in JRC – EC working on the European Media Monitoring (EMM) Machine Translation System. She is in charge with implementing and improving an SMT system based on Moses and optimized for news domain and she provides technical and scientific support to the text analyzing activities in the Text and Data Mining Unit. With a university degree in Mathematics and Computer Science, she is working in computational linguistics since 1995. During this period, she was involved in a large number of projects (the majority for the EU Commission), leading to the development of different NLP applications. She worked on text gathering, analysis and visualisation tools with a focus on high multilinguality, on multilingual and multi-document information aggregation. With more than 25 publications in peer-reviewed journals and international conferences, she holds Masters degrees in Cognitive Sciences and Language Sciences. In 2009, she was awarded a doctoral degree in Computer Science (Natural Language Processing) for research in machine translation at the University of Strasbourg, France.